Seems like this ship has sailed. We don’t get even a token mention. Offered by Oklahoma, Pitt, Illinois, Iowa St, etc. Louisville offered. Great job to Muller/Staff identify a star in the making early. Maybe one day we'll start getting players like these. This kid keeps coming up on my Twitter. National college hoops reporters are fawning over him now. Committed to Kentucky. WE ALMOST HAD IT! Maxwell Smart ... "missed it by that much"
Have you accepted Sq'wak into your heart? Well then. If you are going to lose a player, lose it to a Kentucky. ...you can go ahead and believe that along with all of the other stuff you make up. I mean . 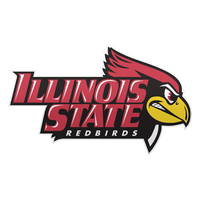 . . was ChiRedbirdfan kidding? Listen to this podcast; specifically around the 22:50 mark. Muller seems to think we were in the running before Kentucky knocked on the door. That's good to know. If things don't work out in Lexington maybe he considers coming to to Normal down the road.